“It is very unusual for a freshman to make the 1st All-District Team. 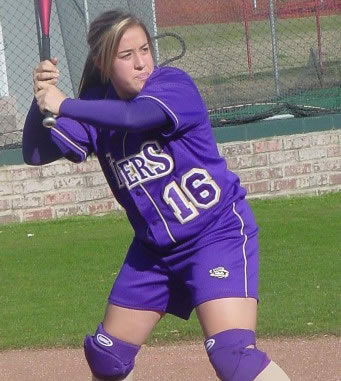 Desiree Harvey has been a catcher and shortstop for the team. She has a tremendous future,” said Shaw. Jillian Keegan is an outfielder and occasionally an infielder. 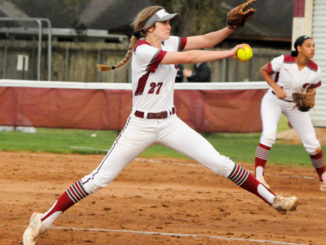 “Jillian was a rather average player before district, then she exploded and helped propel Destrehan in the district. 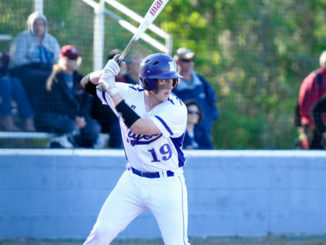 “We were number one in the district,” said Coach Kenneth Vial of Hahnville High School. “Quite a few of our girls made the All-District team. “Meghan Vial is an outstanding defense catcher. She had a .333 batting average. She will run the show for the district team,” said the coach. “Chelsey Flores is MVP for the district. She pitched all but four inning this season. She is a leader on the field,” said the HHS coach. “It is very rare to have such an experienced freshman on your team. Jessica Cancienne has more intelligence on the field than any other player in the district. She often has more knowledge of the game than the coaches. I expect her to be a big time college player one day,” said Coach Vial. Annie Minnich hit .360 for the past season and is three-time All-District. Lela Clowers is good defensive outfielder and plays very hard. 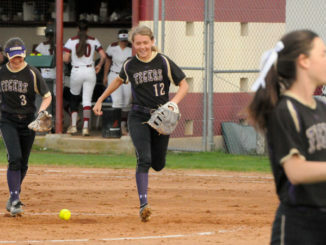 She is an excellent base runner,” said her coach. With this much talent from St. Charles entering the All-District Girls Softball Team, spectators are sure to see some fireworks as these girls run the bases towards college ball.